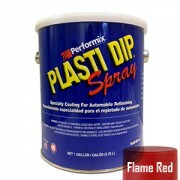 PLASTI DIP SPRAY GALLON RED 3.78 L Plasti Dip Spray Gallon is a multi-purpose, specialty rubber coating and air dry Easy to remove from most surfaces Protects against moisture, acids, abrasion, corrosion, and skidding/slipping Provides a comfortable and controlled grip W..
PLASTI DIP SPRAY GALLON FLEX BLUE 3.78 L Plasti Dip Spray Gallon is a multi-purpose, specialty rubber coating and air dry Easy to remove from most surfaces Protects against moisture, acids, abrasion, corrosion, and skidding/slipping Provides a comfortable and controlled gr..
PLASTI DIP SPRAY GALLON WHITE 3.78 L Plasti Dip Spray Gallon is a multi-purpose, specialty rubber coating and air dry Easy to remove from most surfaces Protects against moisture, acids, abrasion, corrosion, and skidding/slipping Provides a comfortable and controlled grip ..
PLASTI DIP SPRAY GALLON 50's Aqua 3.78 L Plasti Dip Spray Gallon is a multi-purpose, specialty rubber coating and air dry Easy to remove from most surfaces Protects against moisture, acids, abrasion, corrosion, and skidding/slipping Provides a comfortable and controlled grip ..
PLASTI DIP SPRAY GALLON ALUMINIUM 3.78 L Plasti Dip Spray Gallon is a multi-purpose, specialty rubber coating and air dry Easy to remove from most surfaces Protects against moisture, acids, abrasion, corrosion, and skidding/slipping Provides a comfortable and controlled grip ..
PLASTI DIP SPRAY GALLON ANTHRACITE GREY 3.78 L Plasti Dip Spray Gallon is a multi-purpose, specialty rubber coating and air dry Easy to remove from most surfaces Protects against moisture, acids, abrasion, corrosion, and skidding/slipping Provides a comfortable and controlled g..
PLASTI DIP SPRAY GALLON BLURPLE 3.78 L Plasti Dip Spray Gallon is a multi-purpose, specialty rubber coating and air dry Easy to remove from most surfaces Protects against moisture, acids, abrasion, corrosion, and skidding/slipping Provides a comfortable and controlled grip Wi..
PLASTI DIP SPRAY GALLON CAMO BROWN 3.78 L Plasti Dip Spray Gallon is a multi-purpose, specialty rubber coating and air dry Easy to remove from most surfaces Protects against moisture, acids, abrasion, corrosion, and skidding/slipping Provides a comfortable and controlled grip ..
PLASTI DIP SPRAY GALLON CAMO GREEN 3.78 L Plasti Dip Spray Gallon is a multi-purpose, specialty rubber coating and air dry Easy to remove from most surfaces Protects against moisture, acids, abrasion, corrosion, and skidding/slipping Provides a comfortable and controlled grip ..
PLASTI DIP SPRAY GALLON CAMO TAN 3.78 L Plasti Dip Spray Gallon is a multi-purpose, specialty rubber coating and air dry Easy to remove from most surfaces Protects against moisture, acids, abrasion, corrosion, and skidding/slipping Provides a comfortable and controlled grip W..
PLASTI DIP SPRAY GALLON CLEAR 3.78 L Plasti Dip Spray Gallon is a multi-purpose, specialty rubber coating and air dry Easy to remove from most surfaces Protects against moisture, acids, abrasion, corrosion, and skidding/slipping Provides a comfortable and controlled grip Will..
PLASTI DIP SPRAY GALLON COBALT BLUE 3.78 L Plasti Dip Spray Gallon is a multi-purpose, specialty rubber coating and air dry Easy to remove from most surfaces Protects against moisture, acids, abrasion, corrosion, and skidding/slipping Provides a comfortable and controlled grip ..
PLASTI DIP SPRAY GALLON ELECTRIC LIME GREEN 3.78 L Plasti Dip Spray Gallon is a multi-purpose, specialty rubber coating and air dry Easy to remove from most surfaces Protects against moisture, acids, abrasion, corrosion, and skidding/slipping Provides a comfortable and controll..
PLASTI DIP SPRAY GALLON FIERCE PINK 3.78 L Plasti Dip Spray Gallon is a multi-purpose, specialty rubber coating and air dry Easy to remove from most surfaces Protects against moisture, acids, abrasion, corrosion, and skidding/slipping Provides a comfortable and controlled grip ..
PLASTI DIP SPRAY GALLON Flame Red 3.78 L Plasti Dip Spray Gallon is a multi-purpose, specialty rubber coating and air dry Easy to remove from most surfaces Protects against moisture, acids, abrasion, corrosion, and skidding/slipping Provides a comfortable and controlled grip ..
PLASTI DIP SPRAY GALLON FLO PINK 3.78 L Fluorescent Colors (Monster Green, Firebelly Orange, Hot Pink and Fluorescent Purple) require a white base coat, and may begin to fade after prolonged UV exposure. 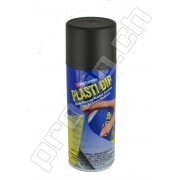 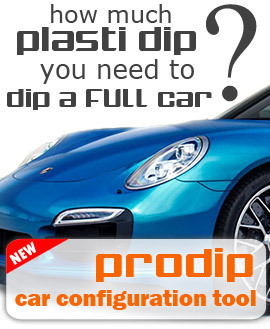 Plasti Dip Spray Gallon is a multi-purpose, specialty rubber coating and air dry ..
PLASTI DIP SPRAY GALLON Fluorescent Purple 3.78 L Fluorescent Colors (Monster Green, Firebelly Orange, Hot Pink and Fluorescent Purple) require a white base coat, and may begin to fade after prolonged UV exposure. Plasti Dip Spray Gallon is a multi-purpose, specialty rubber coating and..
PLASTI DIP SPRAY GALLON Go Mango 3.78 L Plasti Dip Spray Gallon is a multi-purpose, specialty rubber coating and air dry Easy to remove from most surfaces Protects against moisture, acids, abrasion, corrosion, and skidding/slipping Provides a comfortable and controlled grip W..
PLASTI DIP SPRAY GALLON Grabber Blue 3.78 L Plasti Dip Spray Gallon is a multi-purpose, specialty rubber coating and air dry Easy to remove from most surfaces Protects against moisture, acids, abrasion, corrosion, and skidding/slipping Provides a comfortable and controlled grip..
PLASTI DIP SPRAY GALLON GUNMETAL GREY 3.78 L Plasti Dip Spray Gallon is a multi-purpose, specialty rubber coating and air dry Easy to remove from most surfaces Protects against moisture, acids, abrasion, corrosion, and skidding/slipping Provides a comfortable and cont..
PLASTI DIP SPRAY GALLON Hemi Orange 3.78 L Plasti Dip Spray Gallon is a multi-purpose, specialty rubber coating and air dry Easy to remove from most surfaces Protects against moisture, acids, abrasion, corrosion, and skidding/slipping Provides a comfortable and controlled grip ..
PLASTI DIP SPRAY GALLON Hugger Orange 3.78 L Plasti Dip Spray Gallon is a multi-purpose, specialty rubber coating and air dry Easy to remove from most surfaces Protects against moisture, acids, abrasion, corrosion, and skidding/slipping Provides a comfortable and controlled gri..
PLASTI DIP SPRAY GALLON HUNTER GREEN 3.78 L Plasti Dip Spray Gallon is a multi-purpose, specialty rubber coating and air dry Easy to remove from most surfaces Protects against moisture, acids, abrasion, corrosion, and skidding/slipping Provides a comfortable and controlled grip..
PLASTI DIP SPRAY GALLON INTENSE TEAL 3.78 L Plasti Dip Spray Gallon is a multi-purpose, specialty rubber coating and air dry Easy to remove from most surfaces Protects against moisture, acids, abrasion, corrosion, and skidding/slipping Provides a comfortable and controlled grip..
PLASTI DIP SPRAY GALLON KOI ORANGE 3.78 L Plasti Dip Spray Gallon is a multi-purpose, specialty rubber coating and air dry Easy to remove from most surfaces Protects against moisture, acids, abrasion, corrosion, and skidding/slipping Provides a comfortable and controlled grip ..
PLASTI DIP SPRAY GALLON MONSTER GREEN 3.78 L Fluorescent Colors (Monster Green, Firebelly Orange, Hot Pink and Fluorescent Purple) require a white base coat, and may begin to fade after prolonged UV exposure. 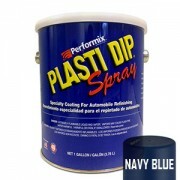 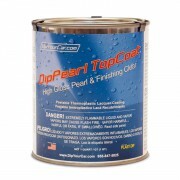 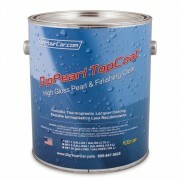 Plasti Dip Spray Gallon is a multi-purpose, specialty rubber coating and air ..
PLASTI DIP SPRAY GALLON NAVY BLUE 3.78 L Plasti Dip Spray Gallon is a multi-purpose, specialty rubber coating and air dry Easy to remove from most surfaces Protects against moisture, acids, abrasion, corrosion, and skidding/slipping Provides a comfortable and controlled grip ..